On Saturday, July 18th we’ll have an opportunity to trace the sometimes forgotten path of our Native people here in Point Reyes. From 9:30 to 12:30 in the Red Barn near Park Headquarters a dynamic quartet of speakers will regale us with reflections and personal tales in a presentation entitled: “Native American History Past, Present and Future.” Malcolm Margolin is the renowned founder of Heyday Press, which has been publishing books for many decades on both the environment and Native culture. Lindsie Bear serves as the editor of News From Native California, the heart full Heyday magazine that reflects both the past and present of Indian consciousness. Vincent Medina is an Ohlone Indian, who also writes for the magazine. He’s been particularly active in reviving the Ohlone language and associated culture. 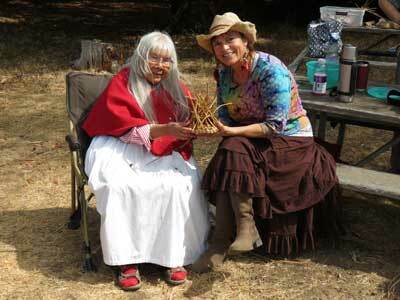 And, our own Joanne Campbell is a cherished Miwok elder who sits on the tribal council. Joanne received a standing ovation at the end of her talk during the recent Geography of Hope Conference. To register for the lectures call the College of Marin at 415-485-9305 or pay the $49 tuition fee at the door. Check out MAPOM.org for more information. 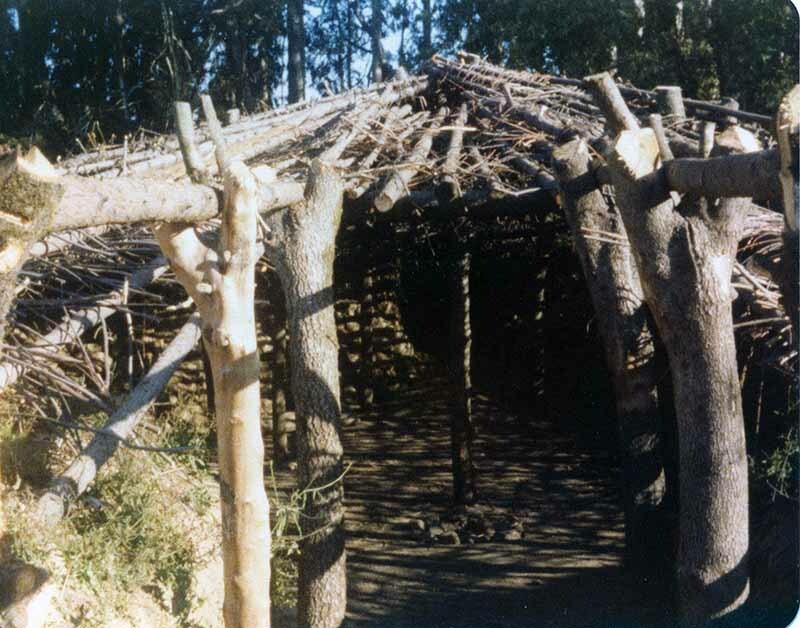 This presentation is actually an official class in the California Indian Studies Program, which is a partnership with The Miwok Archeological Preserve of Marin (MAPOM), the College of Marin (COM) and the Point Reyes National Seashore (PRNS). The driving vision seeks to keep timeless indigenous practices alive. Classes are offered throughout the year with many conducted here at Kule Loklo. A sample include: flintknapping, basket making, acorn processing, fire making, as well as field trips to petroglyph sites, basket museums and tracking trails. Many of the teachers are California Indians, as well as instructors who are leading authorities on Native culture. The cosmology and worldview which successfully sustained our original inhabitants for so many millennia is woven into these presentations. After the morning lectures participants are invited to follow the trail to Kule Loklo for the Point Reyes National Seashore’s 35th annual Kule Loklo Big Time Festival. Highlights include: traditional California Indian dancers, crafts demonstrations, basket making, book sales, jewelry, artifacts and more. In the course of one day, we’re offered a golden opportunity to follow human footsteps through the 10,000 year history of our land. Perhaps valuable lessons are embedded in that journey that could serve to address the growing ecological crisis on which Pope Francis has now focused the world’s attention. Not so long ago the prevailing wisdom held that the Miwok Indians were extinct. In protest the Federated Indians of Graton Rancheria loudly proclaim “We are still here.” Marin County was named after the Miwok hero who resisted the onslaught of the European invasion. Anthropologist, Betty Goerke, has written a compelling biography called “Chief Marin: Leader, Rebel, and Legend” that moves from the ageless time of Native culture to the recent march of the European invaders. Most of what’s arbitrarily presented as “our county’s history” emphasizes the past few hundred years and pays all but lip service to the thousands of years Native people successfully sustained themselves here in Marin – without, I might add, destroying the environment. The footprint left by a few thousand hunting and gathering people living harmoniously with the natural world contrasts with the hundreds of thousands of modern inhabitants all struggling to live high on the hog. Maybe the hard wiring of Homo dominativus (dominating humans) propels us to behave exactly as we do – and thus no real blame. However, as the MAPOM/COM/PRNS Indian lectures and classes reflect, an alternative quality of human consciousness is also a part of our biological and cultural heritage. In order to learn from the lessons of the past we could look to the long history of indigenous culture. We might discover kernels of Native wisdom that could shine light on how to resolve the present climate crisis. An ethos emphasizing the need to keep the population within the carrying capacity of the environment could point the way. A cosmology grounded in a respectful and sacred relationship with the natural world might suggest some new/old directions for us to follow. Coast Miwok/Kashia Pomo and national treasure, Julia Parker, has been teaching basket weaving in the Indian Studies Program for decades. She lives that ageless worldview and incorporates its precepts in her classes. In the book about her life as a basket weaver entitled “Scrape The Willow Until It Sings,” Julia shares these precious words: “So when we gather, we are always told to give offering – no matter what we have. This is paying back to Earth with the respect of a thank you. So you follow those rules. You don’t take more than you need. And do song, prayer and offering.” She’ll be back to teach at Kule Loklo on September 19-20. And just recently, Pope Francis has shocked the established powers with his stunning encyclical proclaiming the necessity to rethink how we care for “Mother Earth.” Much of his languaging has the ring of the Earth-centered spiritual practices that guided humanity for those countless millennia. “Praise Be To You” Pope Francis! The tracks of many forgotten footsteps call out for rediscovery. It’s all about time. 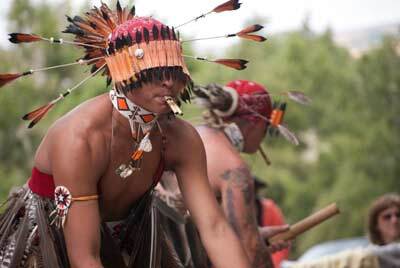 The California native village recreation, Kule Loklo, at the Point Reyes National Seashore is again the site for the Big Time gathering of dancers, native story tellers, native and non-native craft and skill demonstrators and much more known as a Big Time. 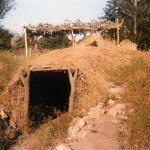 Miwok Archaeological Preserve of Marin cooperates with the National Park Service and College of Marin in this year’s presentation of many aspects of living California Native cultures. A class for college credit is offered at the Red Barn from 10 AM to 12 PM and the village is filled with presentations for children and adults from 10 AM to 4 PM. Watch for updates and save the July 19 for seeing Kule Loklo at its liveliest! 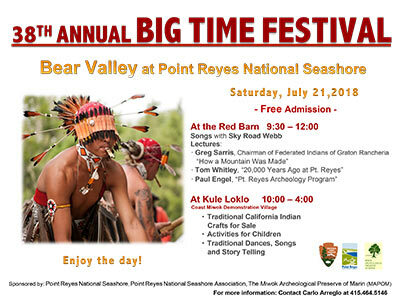 Tomorrow, July 21, is the 32nd annual Big Time Festival at Point Reyes National Seashore, from 10am to 4pm. 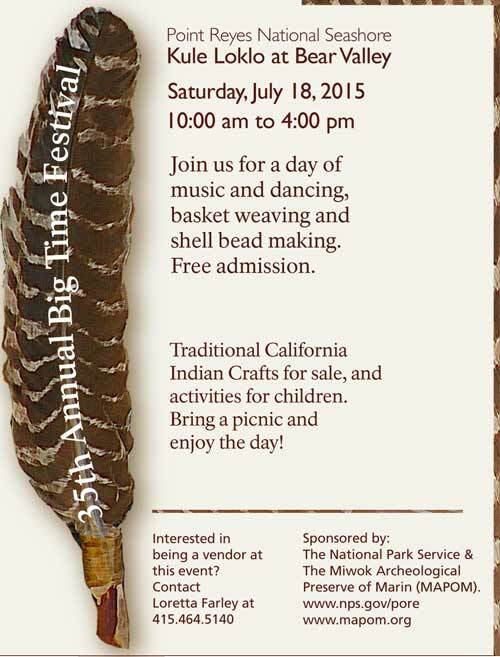 We will have Northern California Indian dancing, vendors, and skills demonstrators. Admittance is free, but you should bring a lunch. You can buy a sandwich in the nearby communities of Inverness Park, Olema, and Point Reyes Station. You can learn more about Kule Loklo at the website of the Kule Loklo volunteers,www.kuleloklo.com, where you will also find photographs of dancing from some previous years and of the rebuilding of the semi-subterranean ceremonial roundhouse. Directions to Kule Loklo are available on the National Park website http://www.nps.gov/pore/planyourvisit/events_bigtime.htm. There is a walk of about .4 mile on a dirt trail from the Seashore headquarters to Kule Loklo. At a time when life was a treadmill, some Sundays I’d head for one or another wilderness not far from the City. Hike a little, enjoy the landscapes, let Earth’s slow rhythms and peace fill me. Gradually Kule Loklo became my destination. There’s a cluster of trees between the former Roundhouse and the Native Plant Garden where spreading roots and soft earth are perfect for sitting and gazing out over the landscape. 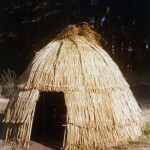 The Roundhouse, kotcas, granaries, Dance Circle, Sweat Lodge, and wooded hills of Marin filled my view. It became my spot. I’d sit comfortably reading, writing, correcting papers, and thinking while tension and worry melted. All the best of a past week replayed in my mind. He said, “People come one Saturday a month to repair or rebuild structures, take care of the Native Plant Garden, and do general maintenance. He told me where to sign up, said good-bye, and went about his rounds. Going over this marvelous news in my mind, it took all of two minutes to make a choice. One Saturday a month–I can do that. Repair and rebuild structures–I can learn how to do that. Weed the garden–can do. So I gathered my things, ambled down the path to the parking lot, stowed my belongings, then went to the Park Office to sign up as a Kule Loklo Volunteer. That was about ten years ago. Permanently in my memory is the morning I arrived at Kule Loklo quite early. No one else was there. I parked, got out of the car, and halted near the wooden fence between the dirt road and the Dance Circle. Turning my ears up to full volume I heard various birds, the wind gently rustling leaves and branches, instinct buzzing—all quite muted. As I was about to walk around the fence to walk to the middle of Kule Loklo, I froze and a slow smile grew. What I heard sounded like children playing–a very familiar sound to an Elementary Teacher. I waited a while, but no children came into view even after I’d reached the center of Kule Loklo. I finally concluded it was the squeak and squeal of tree limbs bending and pushing past each other as the wind grew stronger. Yet…it felt more as if I’d somehow stepped into the past when Native People were arriving in the area for their seasonal stay. Children were running around looking for favorite places and things, while the adults were still a little way off hauling their belongings. Kule Loklo’s annual Big Time festival will be celebrated on Saturday, July 21. This is the 32nd year that this popular Bay Area event has been held. It features dancing by two California Indian dance groups, the Intertribal Pomo group and Dry Creek Pomo dancers, and there will be vendors skills demonstrations. The event is free and is suitable for the whole family. It does however require a .4 mile walk from the parking area to Kule Loklo. 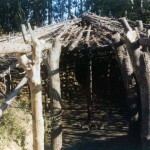 Kule Loklo is a replica Coast Miwok Indian village in Point Reyes National Seashore. 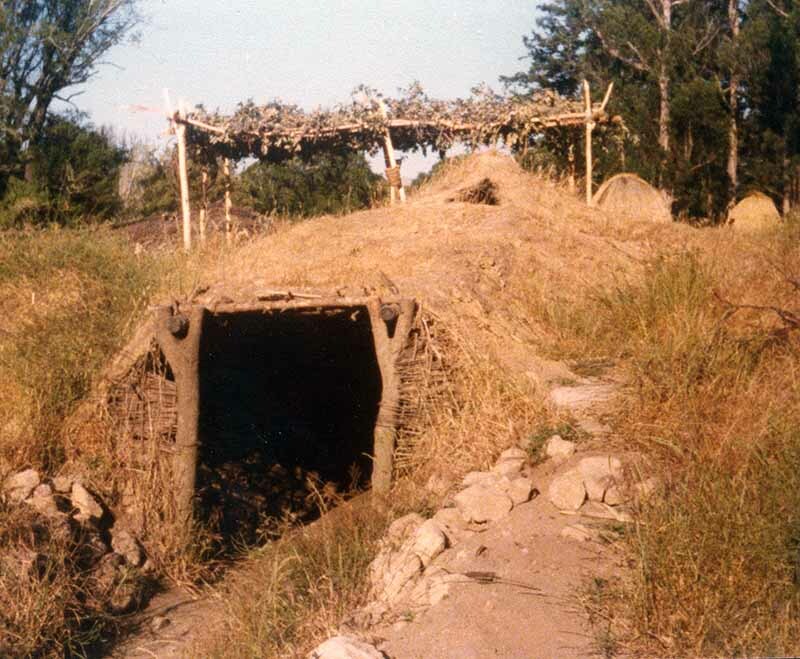 Originally constructed in the 1970s, it includes redwood bark village structures and two semi-subterranean structures, a sweat house and a roundhouse. 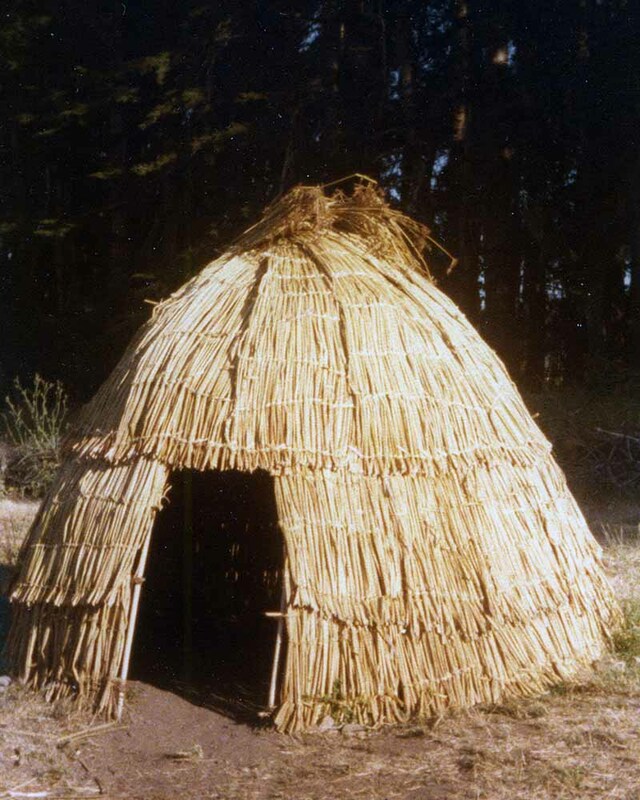 The roundhouse is used by Native people for traditional ceremonial purposes, so entrance is restricted, but you are allowed to look inside this unique building and get a sense of what life was like in this area before Europeans changed it forever. You can learn more about Kule Loklo at the website of the Kule Loklo volunteers, www.kuleloklo.com, and you can learn more about the Big Time and get directions on the National Park website http://www.nps.gov/pore/planyourvisit/events_bigtime.htm.